I would like to bring attention to this law firm by my testimonial. I was a victim of an auto accident that left me with 16 broken ribs and a lot of pain. I was lost, broken and violated from another person’s careless use of an automobile. Not wanting to be a victim twice, I called the Robson Law Firm for help. Chris Robson met with me and immediately put my mind at rest. 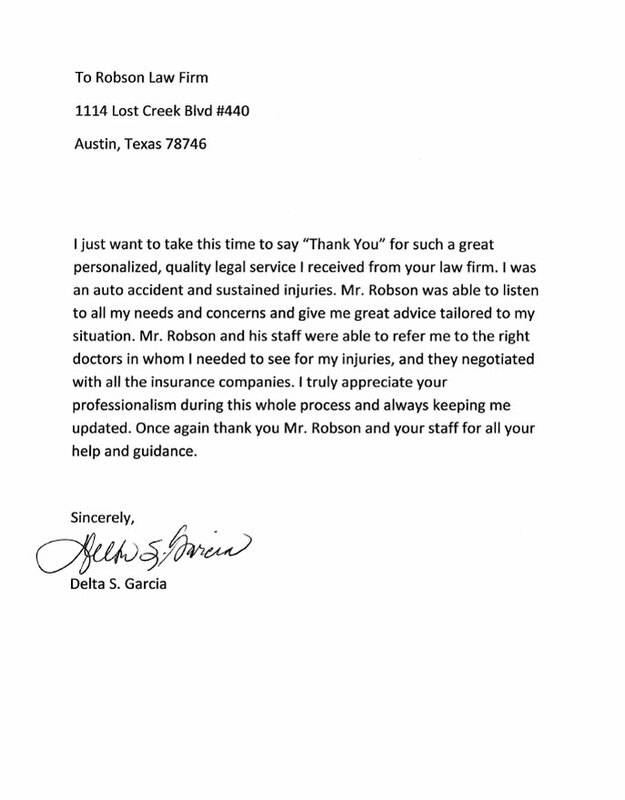 The Robson Law Firm fought for me and got the other driver’s insurance to tender their policy limits. Unfortunately, my health insurance placed a lien against my recovery for $59,874.49. 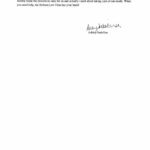 Against all odds, the Robson Law Firm fought the lien in Court and got it reduced down to $2,500.00 which put extra money in my pocket. 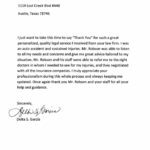 I was so pleased that Robson Law Firm not only fought to get the other driver’s policy limits, they went the extra mile to fight the health insurance lien as well! The best decision I ever made was to hire the Robson Law Firm. Thank you for leaving me with the knowledge that you went above and beyond to fight for my dignity and peace of mind. 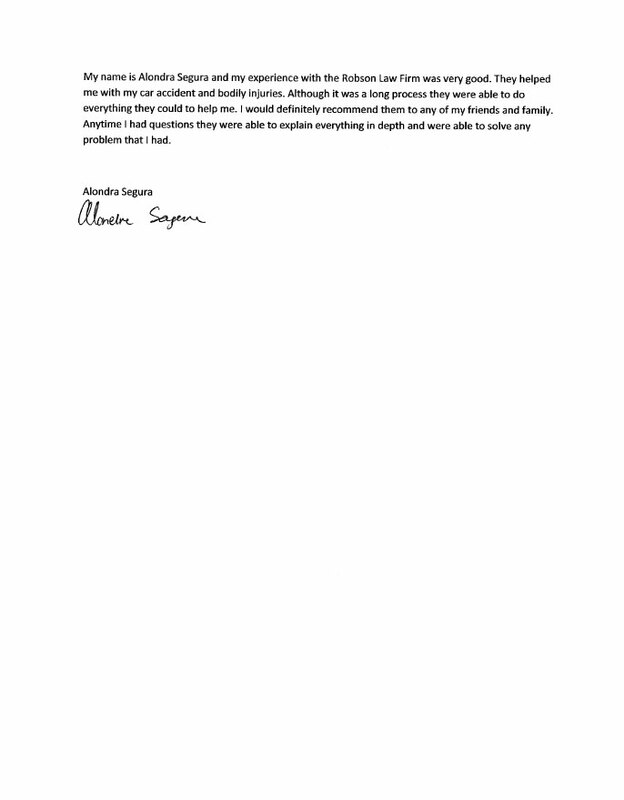 My name is Alondra Segura and my experience with the Robson Law Firm was very good. They helped me with my car accident and bodily injuries. Although it was a long process they were able to do everything they could to help me. I would definitely recommend them to any of my friends and family. Anytime I had questions they were able to explain everything in depth and were able to solve any problem that I had. On March 20, 2013, me and my two children were in a terrifying car accident that put us in a hole, financially, physically and mentally. 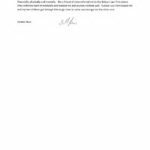 But a friend of mine referred me to the Robson Law Firm where they called me back immediately and treated me and my two children well. Robson Law Firm helped me and my two children get through this rough time to come out stronger on the other end. 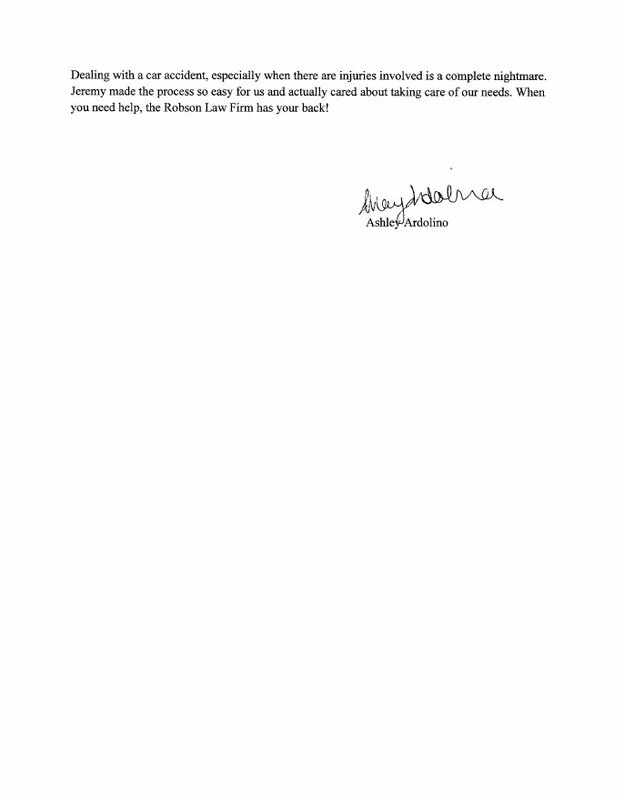 Thanks to the Robson Law Firm for taking my case when other attorneys wouldn’t. They had faith in me and worked hard until they got the insurance company to put good money on the table. 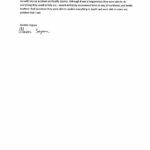 When Farmers Insurance wouldn’t make reasonable offers early on, Robson Law Firm filed a lawsuit on my behalf. 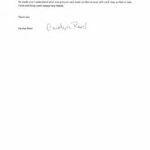 Chris Robson took the insulting offers personally, and promised me that he would make them pay what they should have in the first place. Farmers put up a fight, but the attorneys at Robson Law Firm did not back down. Chris fulfilled his promise. His negotiation skills made Farmers crumble. I recommend the Robson Law Firm to anyone who has been injured due to the negligence of others. 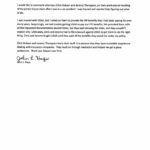 Chris Robson and Jeremy Thompson should be commended on the way they handled my claim. I was in a car accident with my husband, and we were both injured. We had insurance through USAA, and we needed them to help us by paying Personal Injury Protection benefits. We had been USAA customers for years, so we were shocked when they refused to pay us what they owed. We had to hire an attorney to help us. 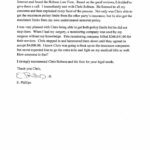 I am glad we chose Chris Robson and his firm to represent us. Chris and his associate Jeremy Thompson are obviously excellent at what they do. They informed me that USAA has been treating some of their customers unfairly by denying PIP benefits, even when the customers follow all the requirements and jump through all the hoops. USAA kept refusing to do the right thing. As a result, we had to file a lawsuit against USAA. Chris and Jeremy went after them and wouldn’t let up. At the end of it all, USAA paid us what they owed. Chris and Jeremy kept me informed on the status of my claim, they worked with the mediator, and they negotiated with the insurance company’s lawyer. 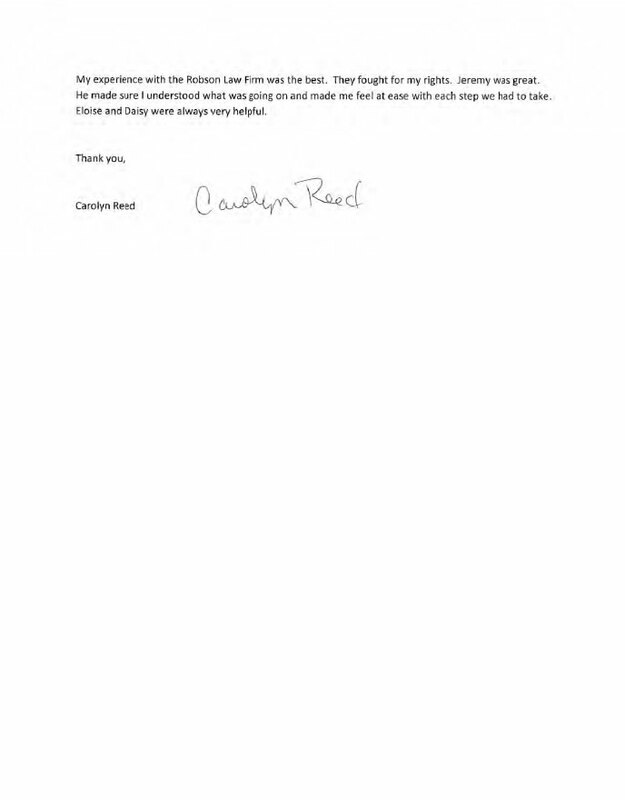 In my opinion, they did an outstanding job and explained items when I had questions. They got me a great settlement. Thank you Robson Law Firm. 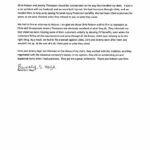 I would like to commend attorneys Chris Robson and Jeremy Thompson, on their professional handling of my person injury claim after I was in a car accident. I was injured and needed help figuring out what to do. I was insured with USAA, and I relied on them to provide the PIP benefits that I had been paying for over many years. Surprisingly, we had trouble getting USAA to pay our PIP benefits. 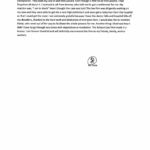 We provided them with all the requested documentation several times, but they kept denying the claim, and they wouldn’t explain why. 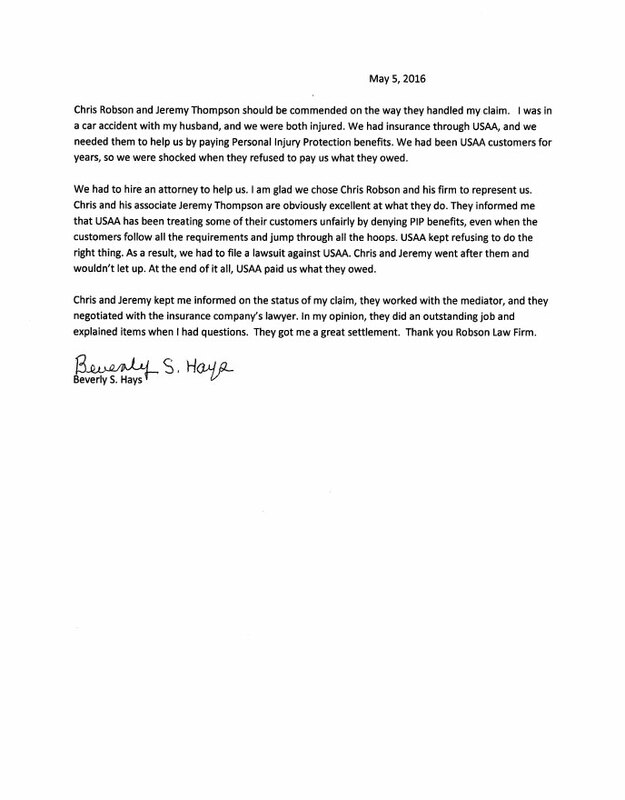 Ultimately, Chris and Jeremy had to file a lawsuit against USAA to get them to do the right thing. Chris and Jeremy fought USAA until they paid all the benefits they owed me under my policy. Chris Robson and Jeremy Thompson know their stuff. It is obvious that they have incredible experience dealing with insurance companies. They lead me through mediation and helped me get a great settlement. Thank you Robson Law Firm. Dealing with a car accident, especially when there are injuries involved is a complete nightmare. Jeremy made the process so easy for us and actually cared about taking care of our needs. When you need help, the Robson Law Firm has your back! 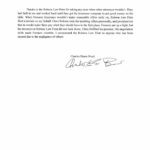 I just want to take this time to say “Thank You” for the great personalize quality legal service I received from your law firm. I was in an auto accident and sustain injuries. Mr. Robson was able to listen to all my needs and concerns and gave me great advice tailored to my situation. 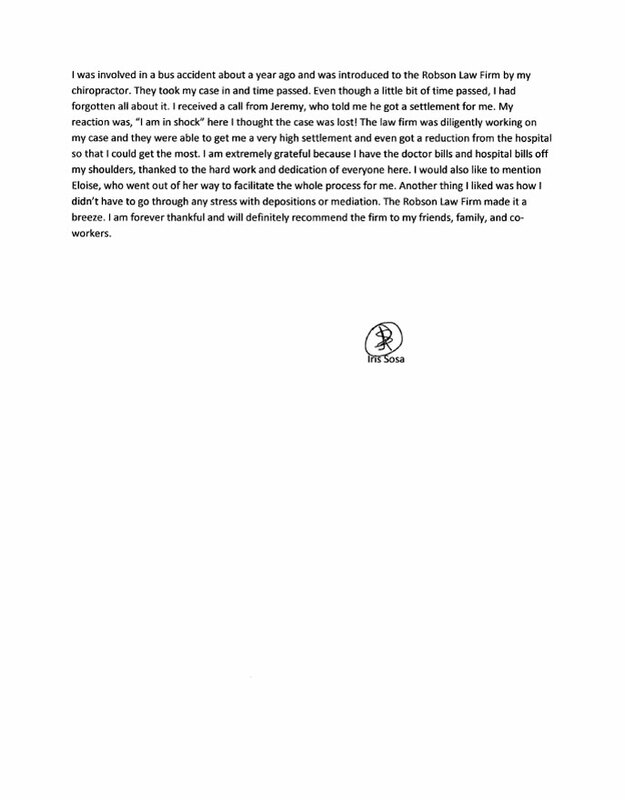 Mr. Robson and his staff were able to refer me to the right doctors in whom I needed to see for my injuries, and they negotiated with all the insurance companies. I truly appreciate your professionalism during this whole process and always keeping me updated. Once again thank you Mr. Robson and your staff for all your help and guidance. 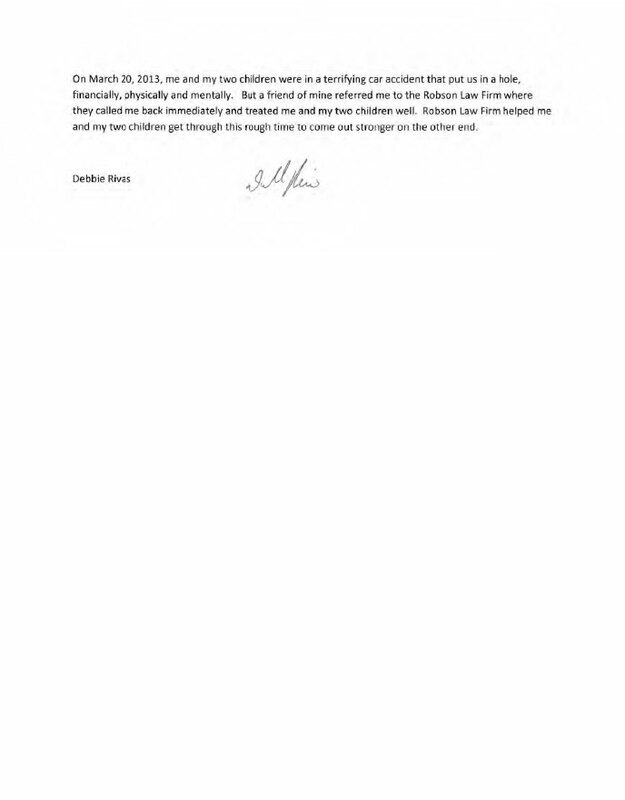 I was involved in a bus accident about a year ago and was introduced to the Robson Law Firm. They took my case, and even though only a little bit of time passed, I had forgotten all about it. I received a call from Jeremy, who told me he got a settlement for me. My reaction was, “I am in shock” here, I thought the case was lost! 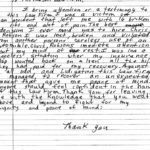 The law firm was diligently working on my case and they were able to get me a very high settlement and even got a reduction from the hospital so that I could get the most. I am extremely grateful because I have the doctor bills and hospital bills off my shoulders, thanks to the hard work and dedication of everyone there. I would also like to mention Eloise, who went out of her way to facilitate the whole process for me. 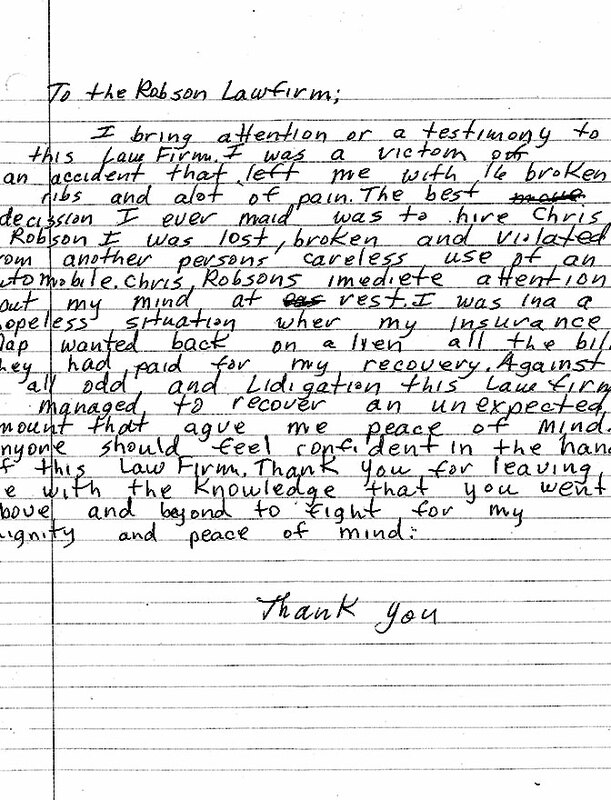 Another thing I liked was how I didn’t have to go through any stress with depositions or mediation. The Robson Law Firm made it a breeze. I am forever thankful and will definitely recommend the firm to my friends, family, and coworkers. After my auto accident, I was not sure how to proceed. I searched for help on the Internet and found the Robson Law Firm. Based on the good reviews, I decided to give them a call. I immediately met with Chris Robson. He listened to all my concerns and then explained every facet of the process. Not only was Chris able to get the maximum policy limits from the other party’s insurance, but he also got the maximum limits from my own underinsured motorist policy. I was very pleased with Chris being able to get both policy limits but he did not stop there. When I had my surgery, a monitoring company was used by my surgeon without my knowledge. This monitoring company billed $268,041.00 for their services. Chris stepped in and hammered them down until they agreed to accept $4,000.00. I knew Chris was going to beat up on the insurance companies but never expected him to go the extra mile and fight on my medical bills as well. How awesome is that? 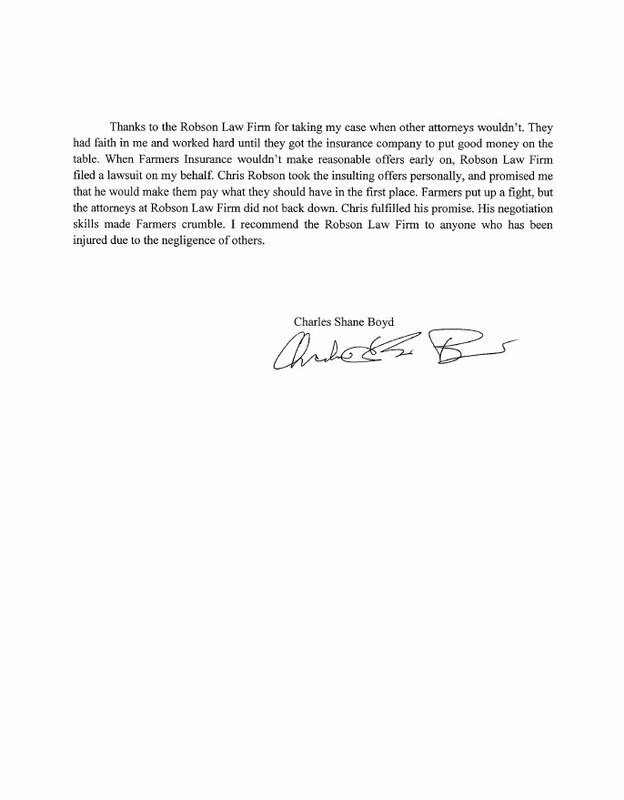 I strongly recommend Chris Robson and his firm for your legal needs. 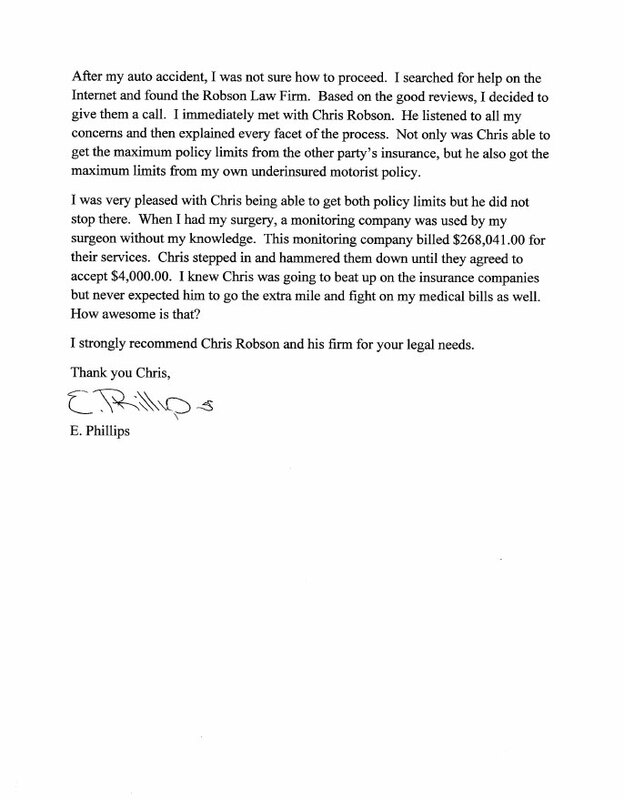 My experience with the Robson Law Firm was the best. They fought for my rights. Jeremy was great. He made sure I understood what was going on and made me feel at ease with each step we had to take. Eloise and Daisy were always very helpful.